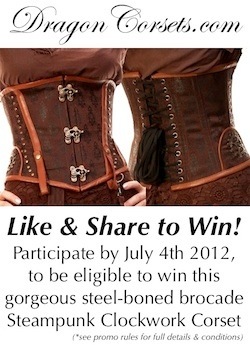 Dragon Corsets - Win A Corset Contest! 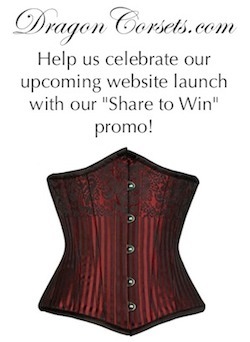 Dragon Corsets regularly holds promotions in which you can win one of our beautiful corsets. These are usually promoted via Facebook, but we are considering alternative uses of social media to spread word of our company and high-quality corset products. Dragon Corsets have held three of these promotions so far since December of 2011 and we plan to continue the tradition; so keep tuned for news!